According to a Department of Justice press release, couple Pamela M. Avedisian, 55, and Gary P. DeCicco, 60, of Nahant, Massachusetts, near Boston, were charged this month in a superseding indictment with federal tax crimes. Superseding indictments are sometimes used by prosecutors when circumstances warrant altering the charges that were originally filed in a criminal case. In this case, for instance, the initial indictment charged the defendants with wire fraud and conspiracy to commit wire fraud. The superseding indictment, which was returned just over a year later, makes different allegations, charging DeCicco and Avedisian with one count each of evading the payment of taxes and conspiring to commit tax fraud. According to the same press release, “DeCicco was also charged with one count of conspiracy to commit bank fraud, one count of bank fraud, four counts of wire fraud and attempted wire fraud and six counts of engaging in unlawful monetary transactions.” These charges are connected to various schemes the couple allegedly engaged in during the period from April 2012 to January 2017. On January 12, 2018, prosecutors unsealed the original indictment, which charged DeCicco and Avedisian with one count each of wire fraud and conspiracy to commit wire fraud. The indictment detailed the 2015 short sale of a property, owned by Avedisian, “subject to a mortgage in excess of $1 million.” The goal of the short sale was to “defraud the mortgage holder by proposing the sale of the property for significantly less than the outstanding mortgage.” To ensure that the sale would proceed, Avedisian and DeCicco – who also hid their relationship from the loan servicing company – “falsely represented that Avedisian could no longer make payments towards the mortgage on the property.” In reality, DiCicco paid Avedisian roughly $3.5 million mere months before the short sale was expected to close. Prosecutors say that in reality, DeCicco, contrary to his statements, owned numerous assets that might have helped satisfy the unpaid debts, with “ownership interests in several businesses, vehicles, and real properties.” DeCicco attempted to conceal these assets from the IRS by placing them into other entities’ or individuals’ names, including that of Avedisian. These textbook fraudulent actions led to criminal charges for evasion of payment. It is a felony to hide assets or sources of income in a tax collection action. While keeping these assets hidden, DeCicco proposed an IRS payment plan to pay off the $340,000 tax debt. The IRS, unaware of the concealed assets, initially accepted the proposal. Tax crime statistics show that thousands of people are convicted of tax fraud in federal courts every year. If you are concerned about the potential for a domestic or international criminal tax audit, IRS criminal investigation, or being reported to the IRS by a tax whistleblower, it is urgent that you get ahead of the situation now by discussing a mitigation strategy with an experienced tax attorney. The best way to avoid a domestic investigation for tax crimes is to enter the domestic voluntary disclosure program (DVD). The best way to avoid an international investigation for tax crimes is to enter into an offshore voluntary disclosure program (OVDP). If no badges of fraud are in the fact pattern and expat or domestic streamlined voluntary disclosure, or delinquent information reporting with penalty abatement is the way to go. Let us get you sleeping at night again! At the Tax Law Office of David W. Klasing, our Panorama City tax evasion lawyers have been representing taxpayers in civil audits and criminal proceedings for decades. We combine the technical and regulatory knowledge of CPAs with the aggressive legal advocacy of tax attorneys, enabling our firm to provide comprehensive representation. 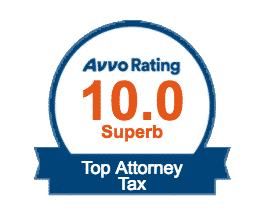 Serving taxpayers throughout Northern and Southern California and beyond, we are here to protect your rights, advocate on your behalf, fight for reduced civil or criminal penalties including incarceration, and guide you back toward tax compliance. Contact us online, or call us today at (800) 681-1295 to schedule a confidential, reduced-rate consultation.